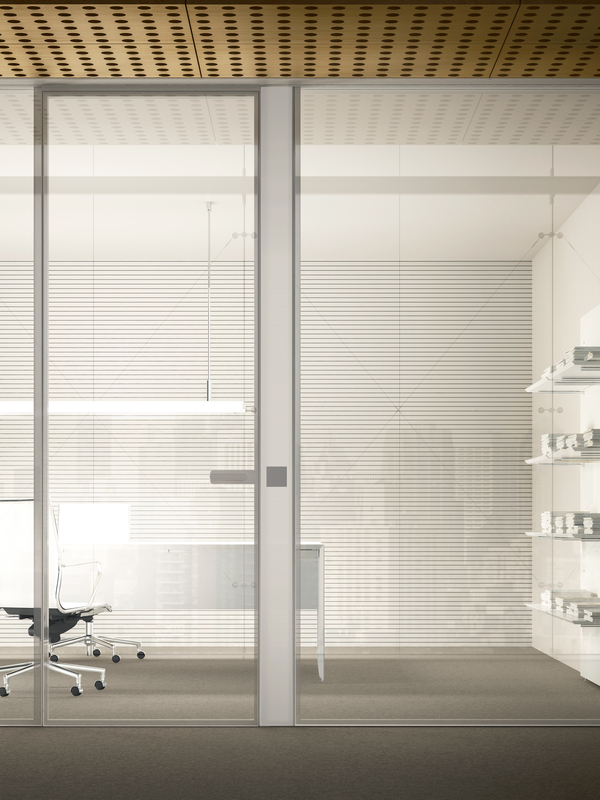 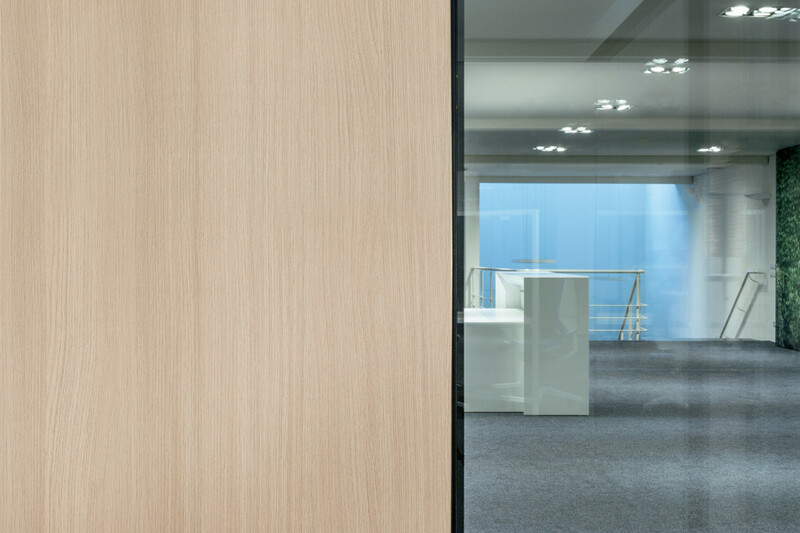 I-Wallflush is an indoor partitioning system, and is the next generation on from the historic Fantoni Akustikwall. 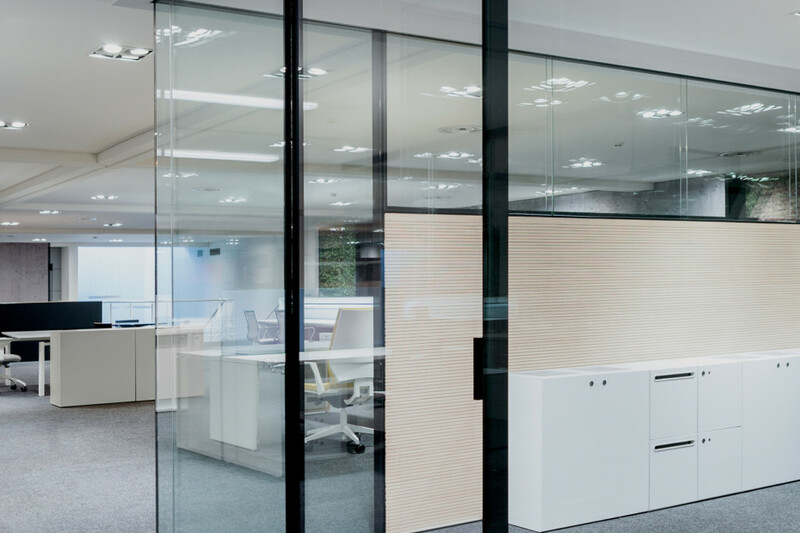 It further demolishes the concept of visible, material barriers, by minimizing everything superfluous (joints, overlaps, glazing beads, visible hinges). 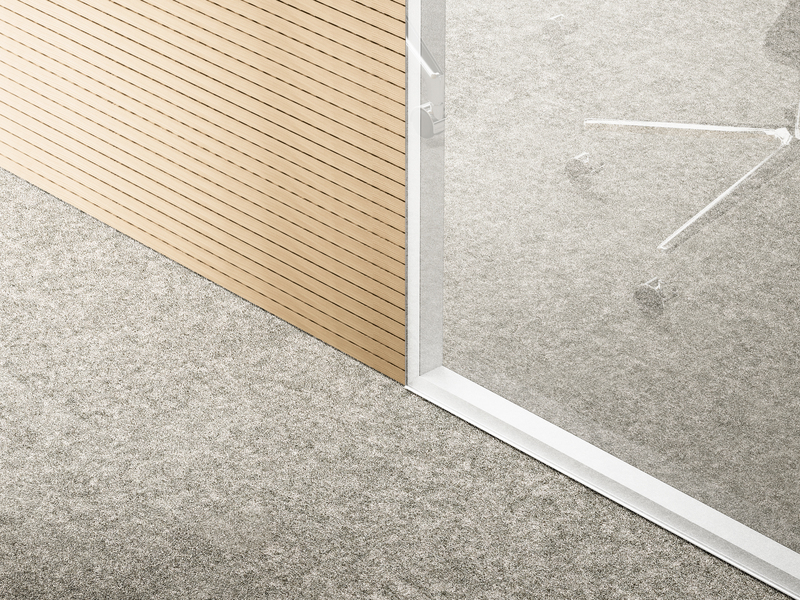 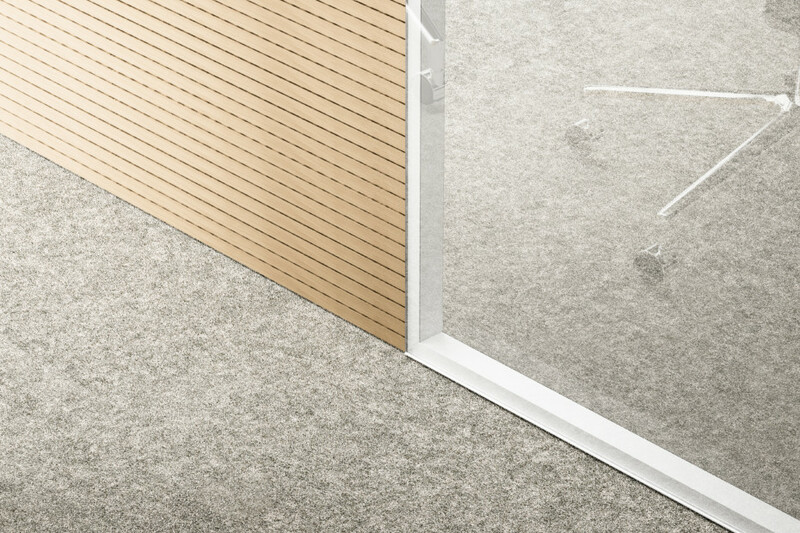 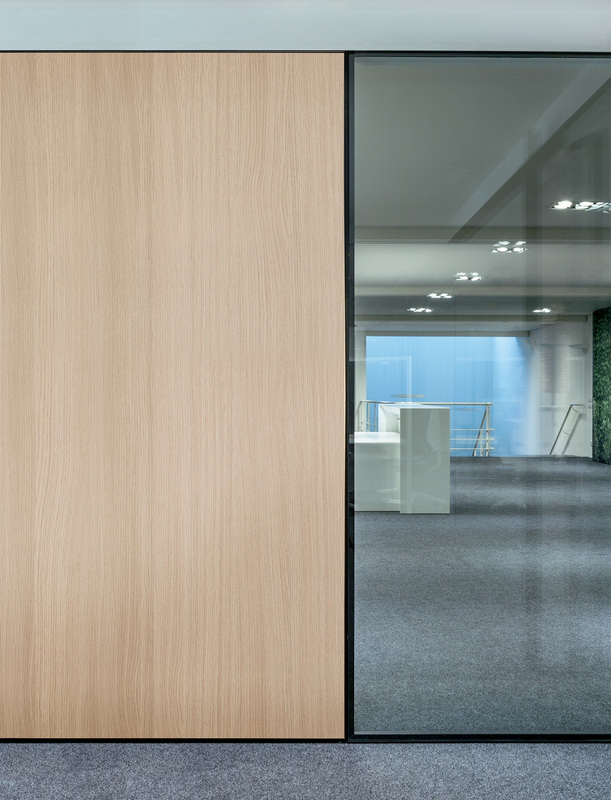 The key concept in the new system is flush alignment: invisible lines, no interruptions from visible horizontal or vertical profiles, simply a visual continuity that gives priority to the layout of the work spaces. 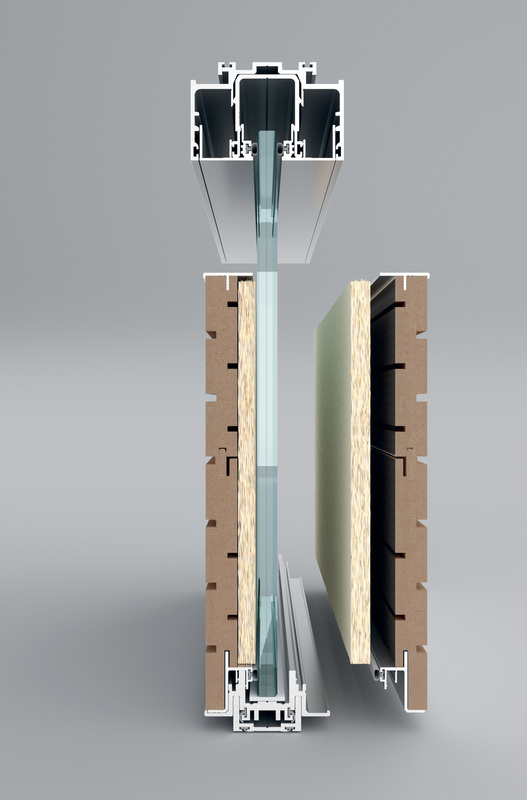 I-Wallflush gives a clean aesthetic, thanks to the lower aluminium profile, hidden behind the flush outer glass pane. 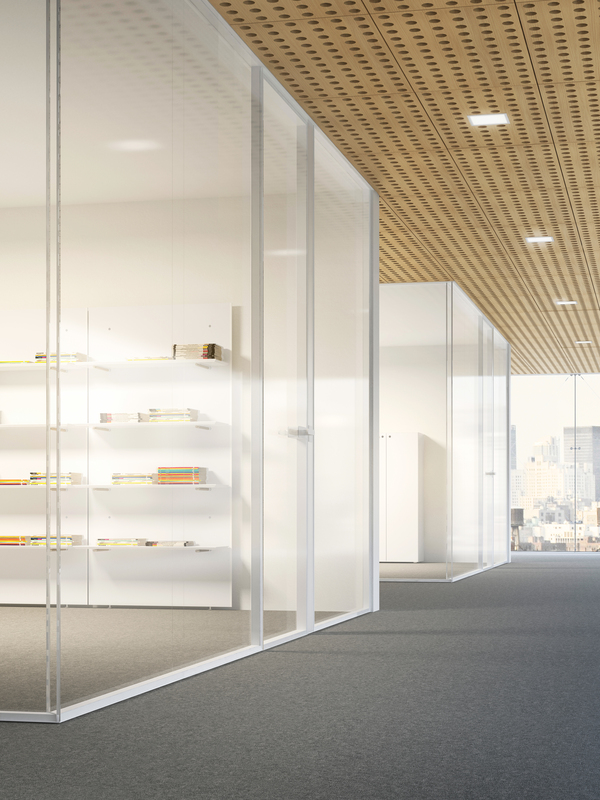 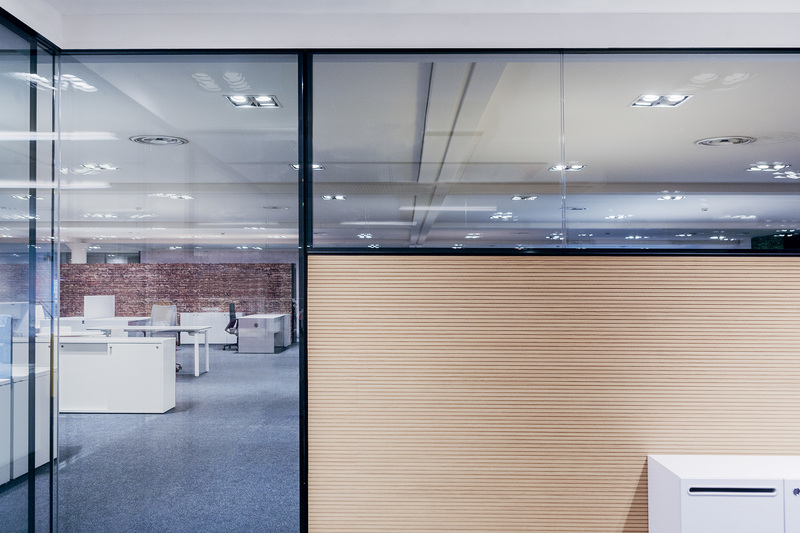 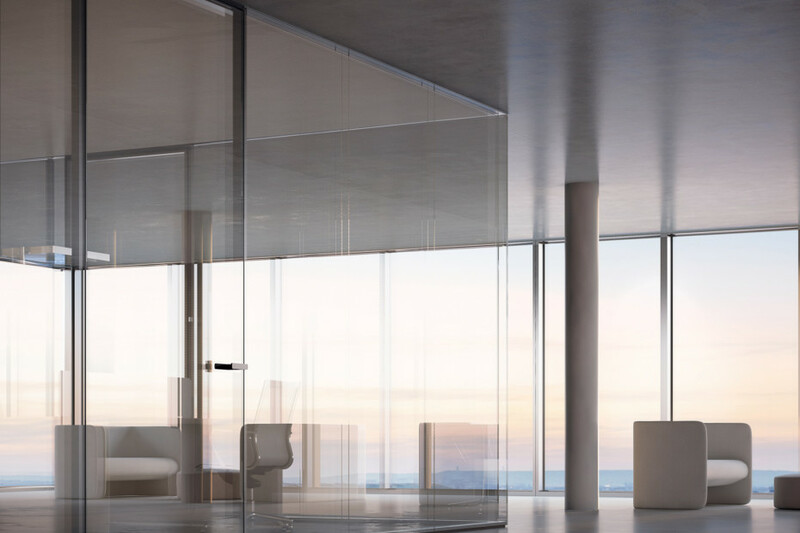 This creates a pleasing visual effect of transparency and continuity between the fixed panes and doors, completely integrating the partition system into the surrounding space. 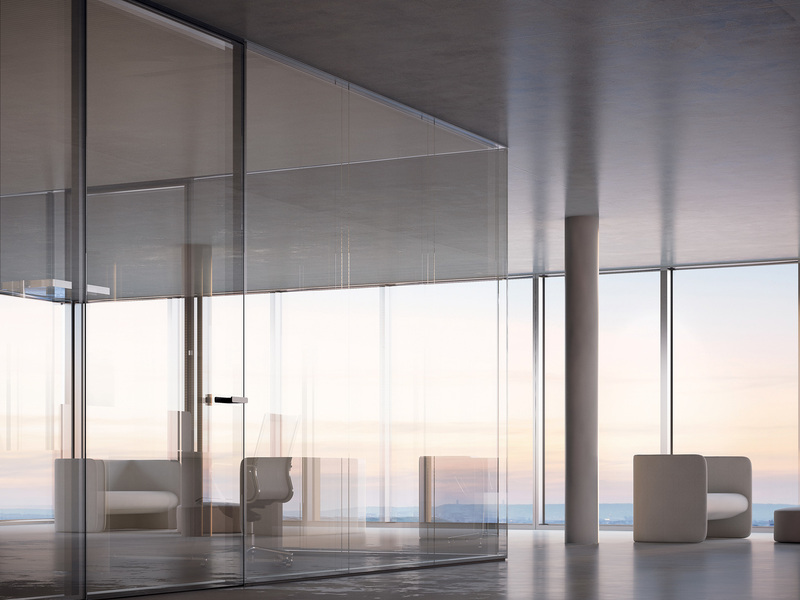 An aesthetic and technical concept that is expressed across a range of forms: with a single central pane, offset, or double-glazed. 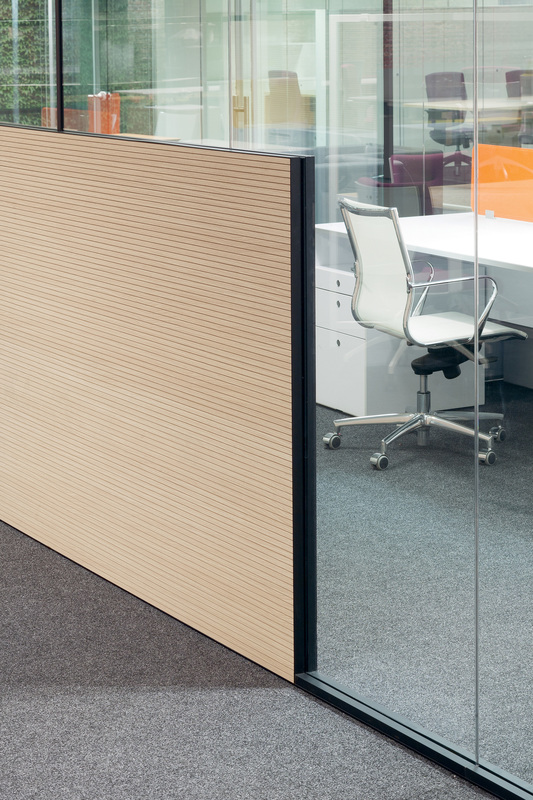 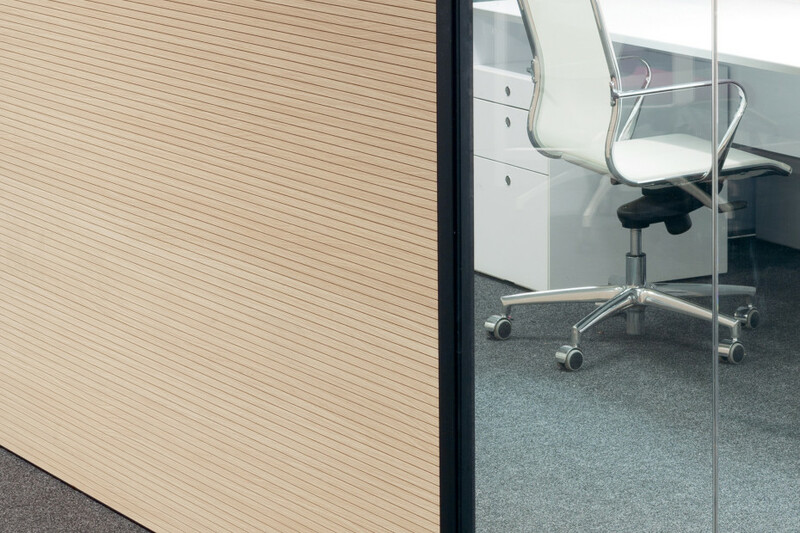 The total thickness of the partition is 64 mm, and the profiles are available in three different finishes (natural aluminium, white lacquer or black lacquer). 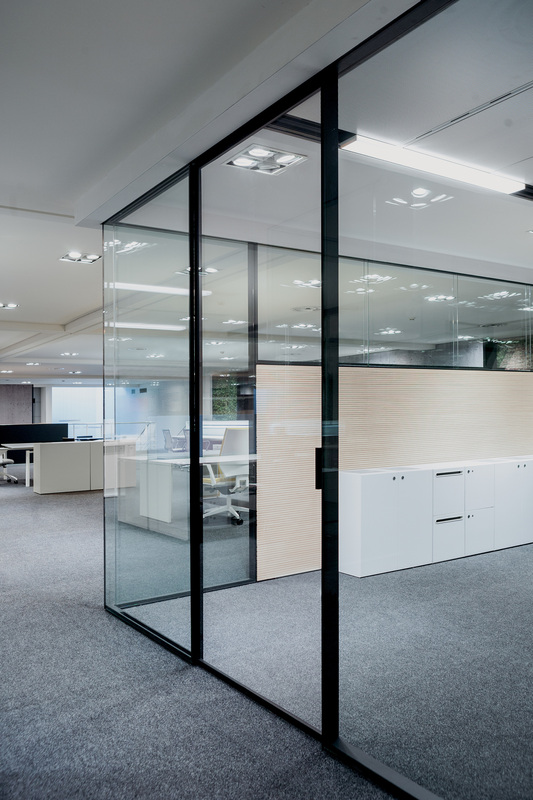 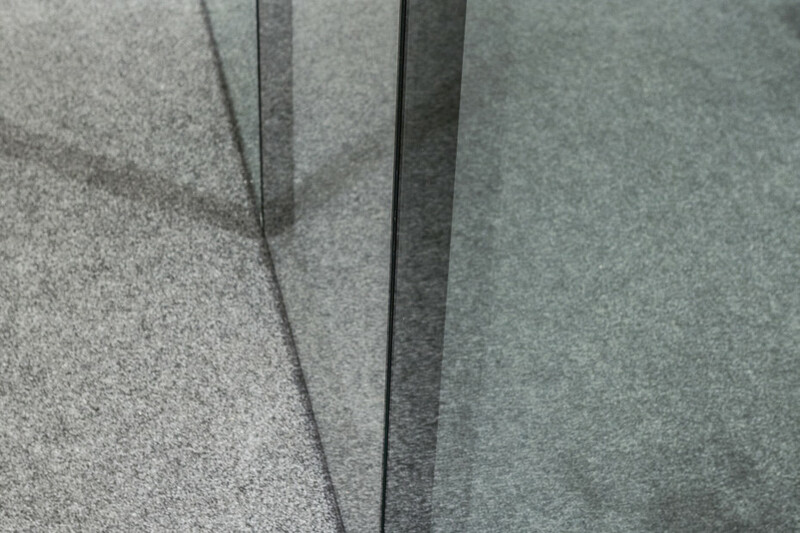 A vast range of fittings and joints makes it possible to create any geometrical form and combination between partitions; special profiles allow embedded fitting and connection with flooring, walls, counter ceilings or panels of any type, all the while maintaining essential, clean, flowing lines. 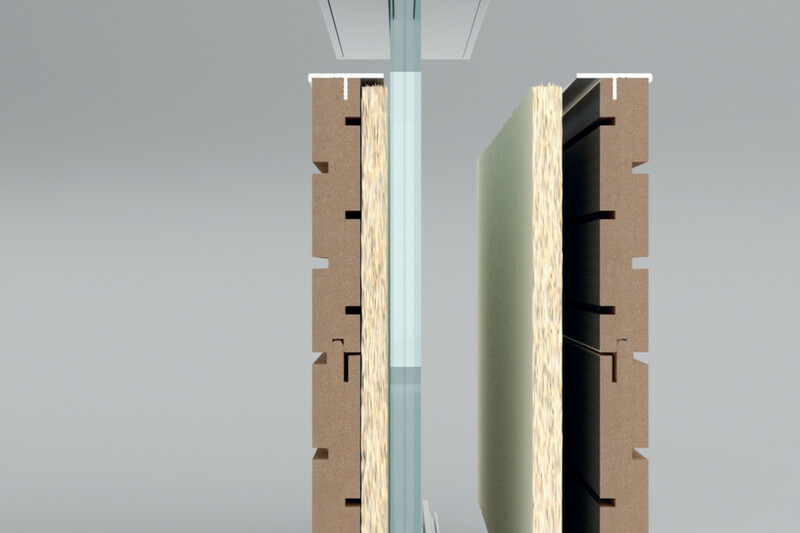 I-Wallflush offers absolute environmental comfort: the versions with double glazing or a single central pane can be finished with 4akustik sound-absorbent coverings; the resulting spaces combine acoustic insulation with reduced reverb and natural brightness, all in a pleasingly essential design. 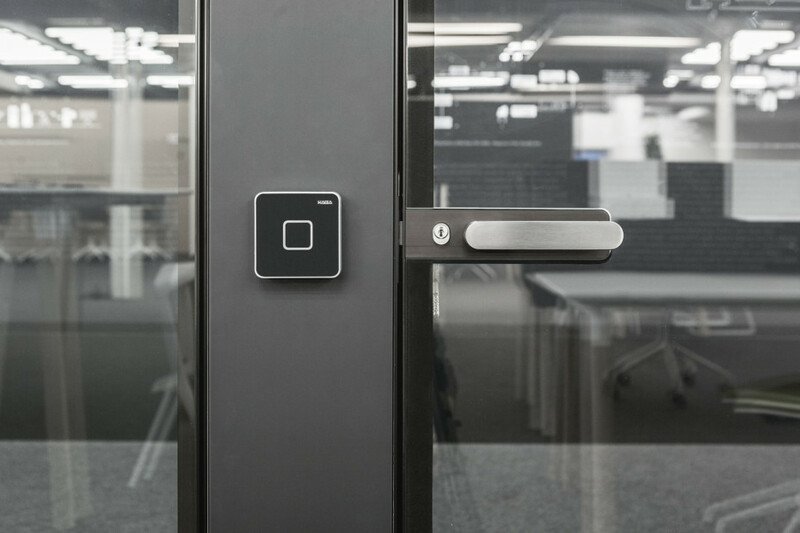 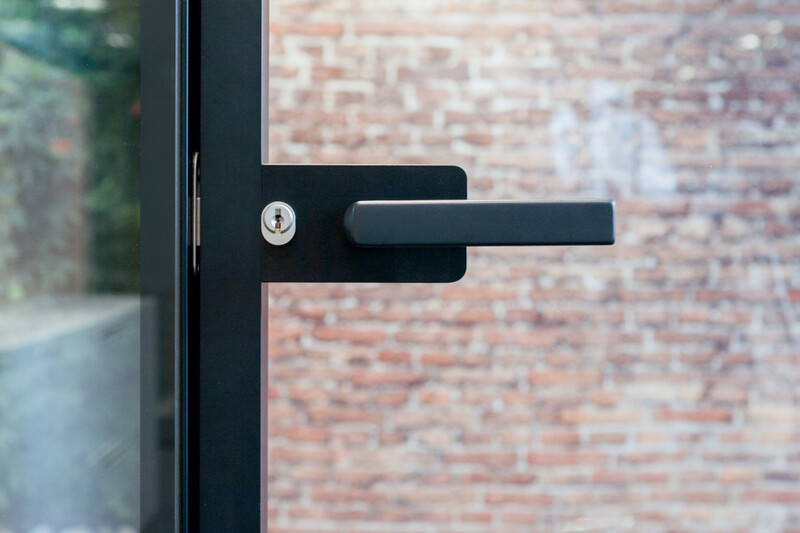 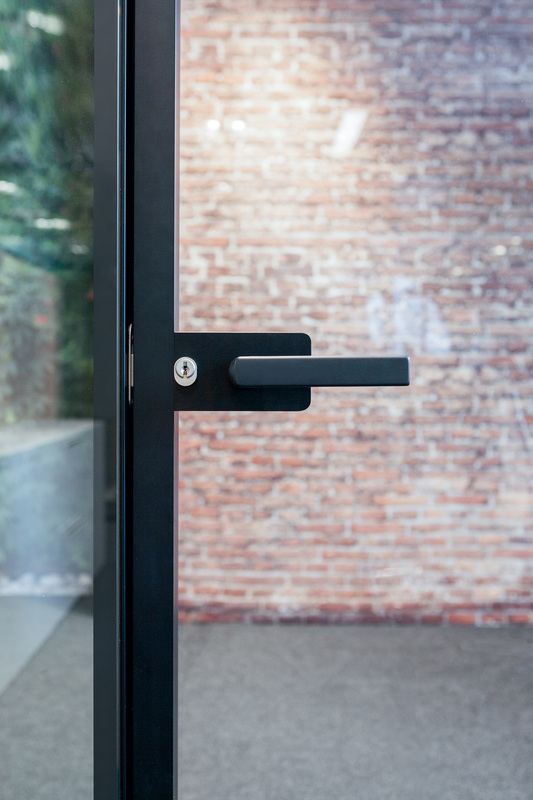 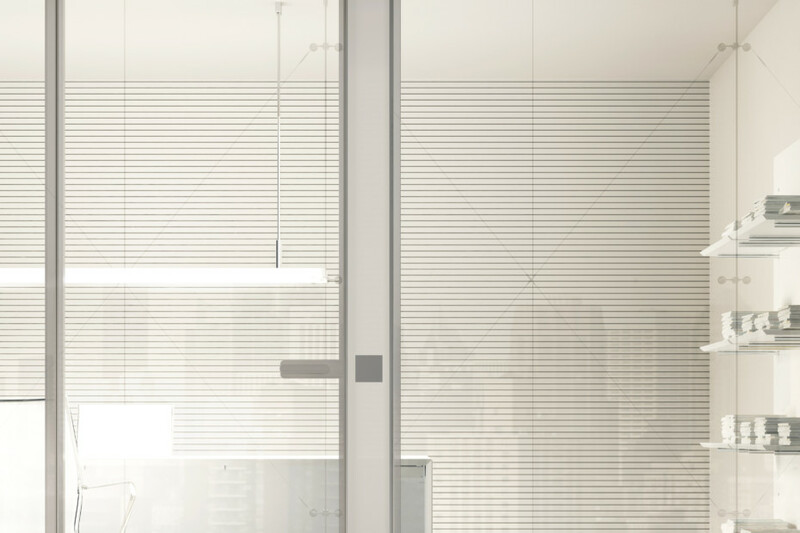 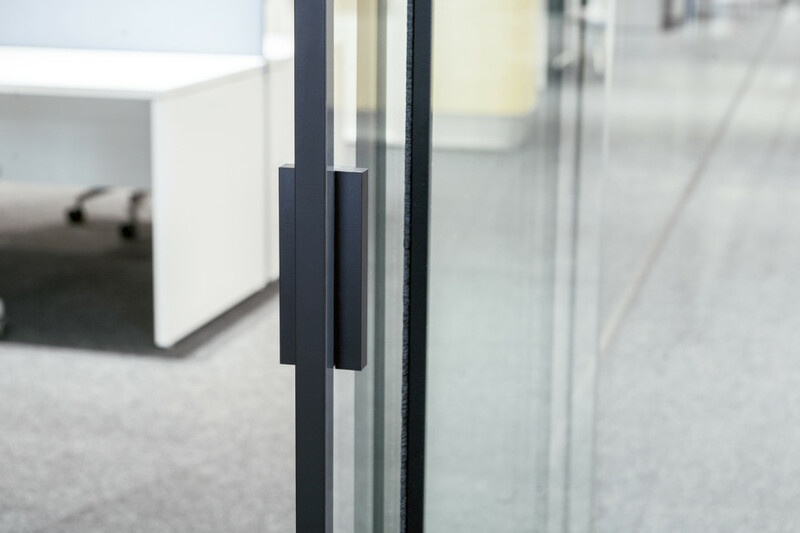 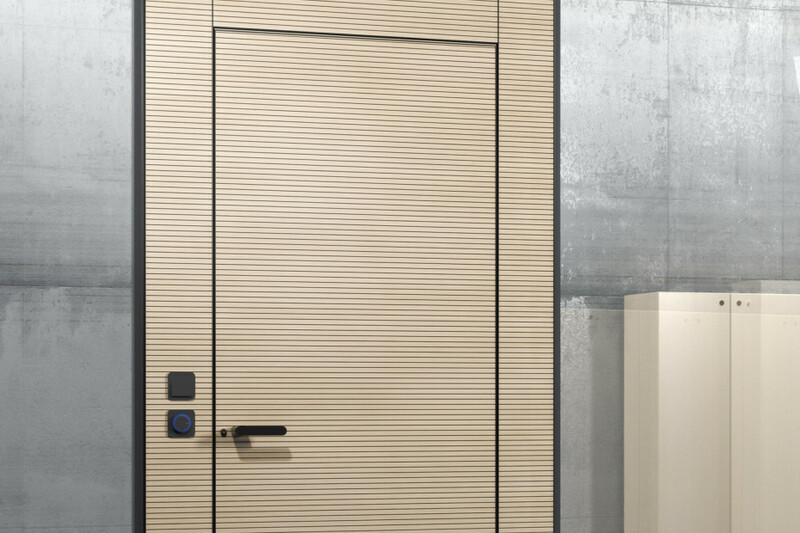 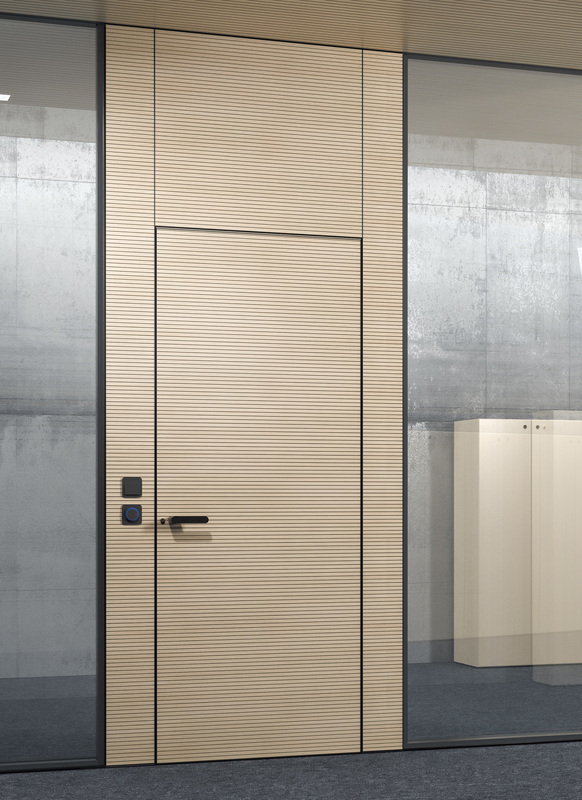 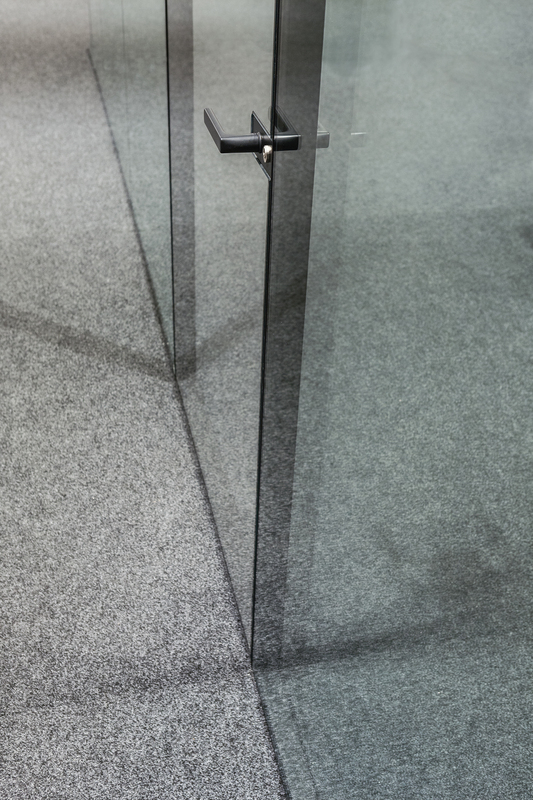 The doors, all with integrated minimalist-design handles, can be hinged or sliding, transparent or panelled, with or without a cable-run module.